It may be the winter blues or being couped inside by rain and cold, but recently pantry organization has been an often requested service. 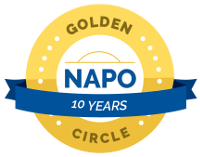 I love these projects because they can easily be done in a few hours and the after is not only visually appealing, but also a functional reward. 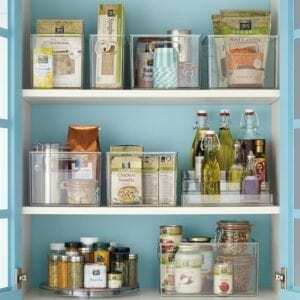 Whether you need to rid yourself of food that expired 3 years ago or just need to freshen things up, these tips will work for multiple pantry organization problems. – For most spaces I usually recommend purchasing containers last, not first. 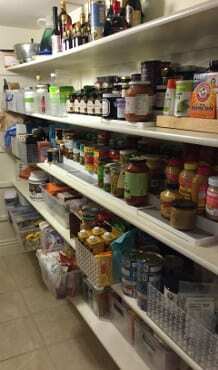 However with pantry organization there are usual products I like to have on hand and then return what I don’t use. – These are great for bottles of sauces, extracts, and your go-to spices. Try to use them for items at or near eye level to optimize functionality. – When canned goods and spices are placed on a shelf, the items in the back can get lost and be difficult to reach. 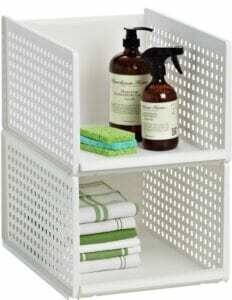 Shelf expanders create a tiered system allowing you to see everything you have and easily access it. Another bonus, you’ll decrease the likelihood of buying duplicates because you know what is there. 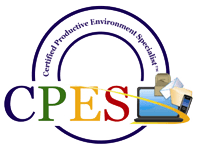 – Want to keep dry goods fresher for a longer period of time? Transfer cereals, beans, grains, nuts, dried fruit and the like to see through food containers. No more dealing with unruly bags that are hard to store and don’t seal well. Clear food containers also look nicer on your shelves and let you easily identify what you have on hand. – Pantry organization can take time, because if you really want to make an impact you have to pull everything out. Use your table, kitchen counters, and any nearby horizontal surface to create zones of breakfast (cereals, oats, granolas, smoothie supplies, etc. ), snacks (chips, bars, crackers, candy), canned goods, sauces, baking, etc. 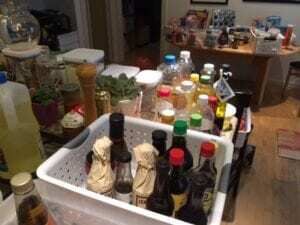 – Check expiration dates and toss/compost items that are no longer good. Food packs given as gifts (e.g. fancy food items in packs with ribbons or gourmet foods in fancy jars) are also good candidates for disposal as they likely have been sitting in your pantry unused because you didn’t know what to do with them or they were just not your thing. Keep a notepad or a note in your phone close by to record items you’ve tossed and need to replenish. Later add those items to your grocery list. – Now is the time to place items in all the great containers you purchased. You know your quantities, so you know what size bins or containers will hold your inventory. I tend to put baking supplies and project type cooking supplies up high. Canned goods should be on eye level shelves or slightly above and sitting on shelf expanders if they are on deeper shelves. 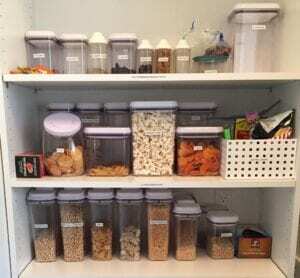 Snacks should be stored zoned bins separated by chips, nuts/dried fruit, bars, chocolate, etc.. Other areas to create in pantry organization: Pasta, Rice, Soups, Sauces, Nut Butters and Jams, etc. Once everything is zoned and in place label shelves and containers to make things VERY obvious to your family. Chalkboard labels and tape make your ever changing pantry containers easy to swap. 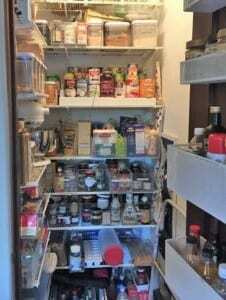 Below are photos of a few of my recent pantry organization projects. 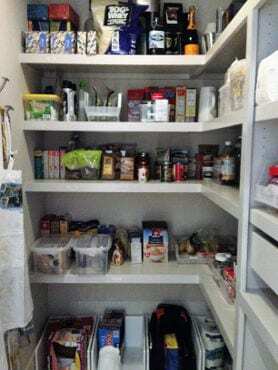 I hope they will inspire you to take on your pantry organization project and create the space you always wished it could be.